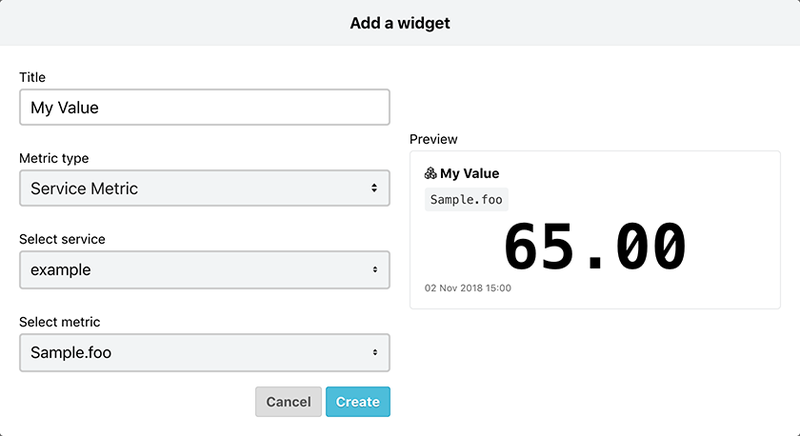 Display the latest values of arbitrary metrics in numbers on your custom dashboard with Value Widgets. 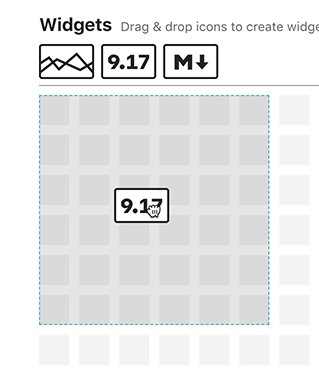 Drag & drop the value widget icon to determine where to place the widget. 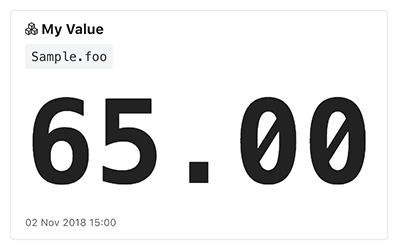 Next, select the type of metric to display in the widget. The following metrics are available. Once you’ve finished selecting, complete the process by clicking the create button.